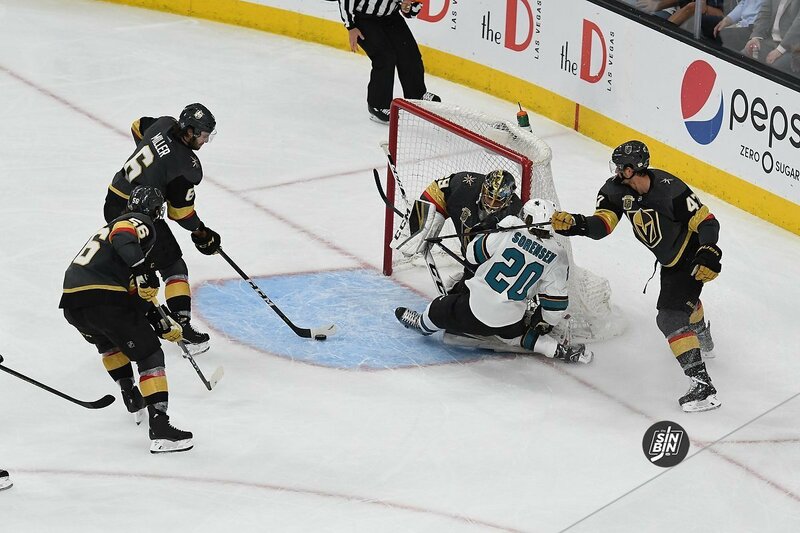 We’ve all seen it over the past two seasons, the Golden Knights have the San Jose Sharks number. 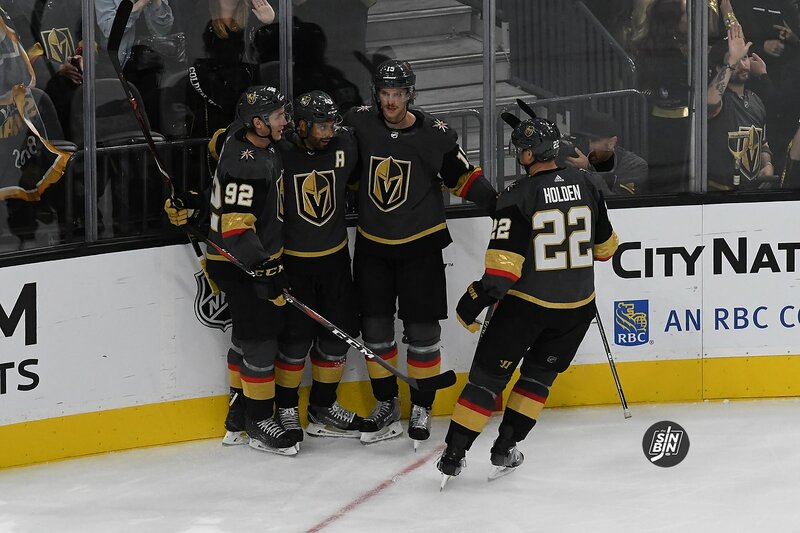 In their 14 matchups, Vegas is 9-2-3 against San Jose in the regular season and postseason combined. I know the team won’t come out and say it but I will, the Golden Knights own the Sharks. Both teams know it, both fanbases know it. One guy that doesn’t care about anything from the past is Golden Knights coach Gerard Gallant. Gallant is very good at downplaying but he’s well aware of the advantage his team has over San Jose. He correctly rattled off his team’s record against the Sharks in Tuesday’s press conference. The players are well aware of their success against San Jose too. But will Vegas’ confidence get in the way? 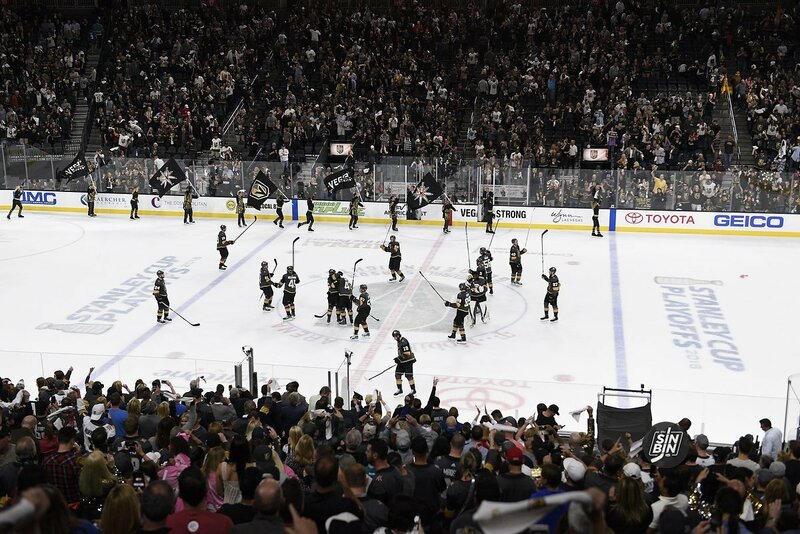 And how will the Golden Knights keep from being overconfident heading into their first round series against San Jose. Confidence aside Merrill isn’t concerned what’s going on in the Sharks locker room. The focus is all about his team, and his locker room. 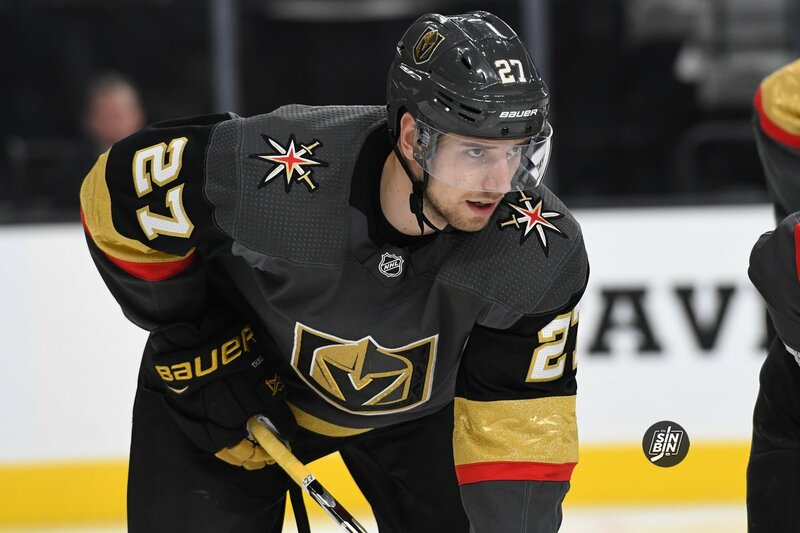 Shea Theodore has turned into a bonafide top-four defenseman this season, and not just his skills on the ice. Theodore transitioned from a young prospect and becoming a well-paid veteran. He recognizes his team’s success and isn’t afraid to boast about it. Theodore wasn’t being cocky or trying to send bulletin board material for San Jose. The Sharks don’t need that, they have enough already. 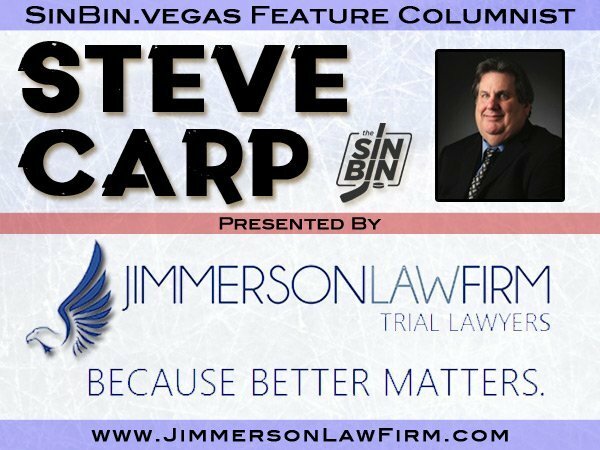 Bottom line, Vegas has gotten the better of San Jose over two seasons and they have the opportunity to continue their dominance in the first round. The question is, can San Jose do anything to stop it? 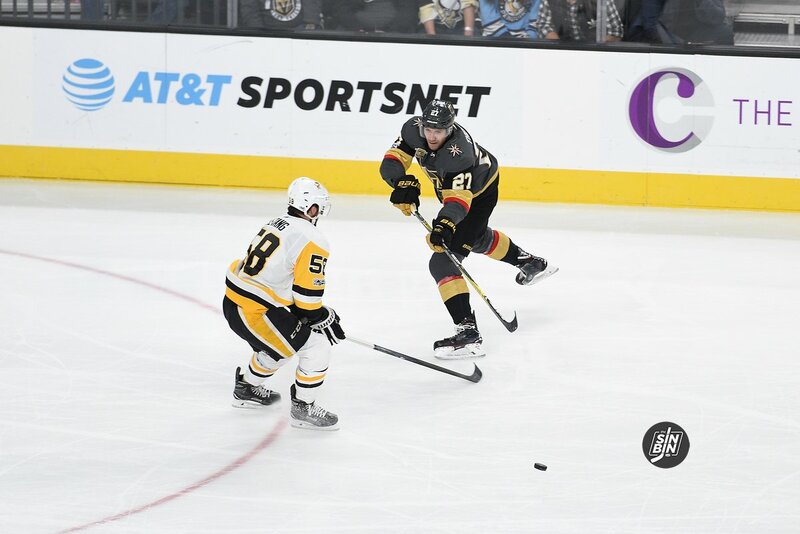 Having lost three straight, five in a row at home, and eight of 11, the reigning Jack Adams award winner, Gerard Gallant decided to get a bit radical and change up two forward lines and two defensive pairs. It didn’t take long to see the change he was looking for. 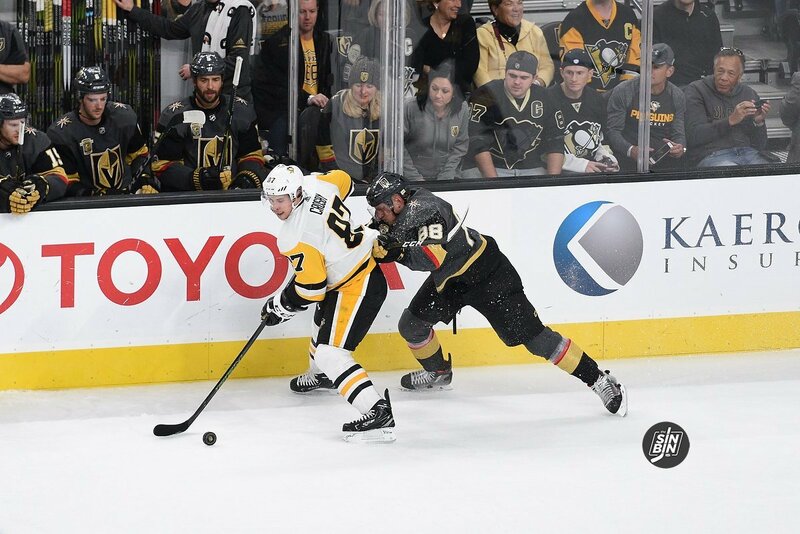 Directly off the opening faceoff, playing with Deryk Engelland, Nate Schmidt took the puck, jumped up into the rush and created a scoring chance for the Golden Knights. Schmidt and Shea Theodore were both put in new positions on Saturday night. Not only playing with new linemates, but they were also each playing on the opposite side of the ice. 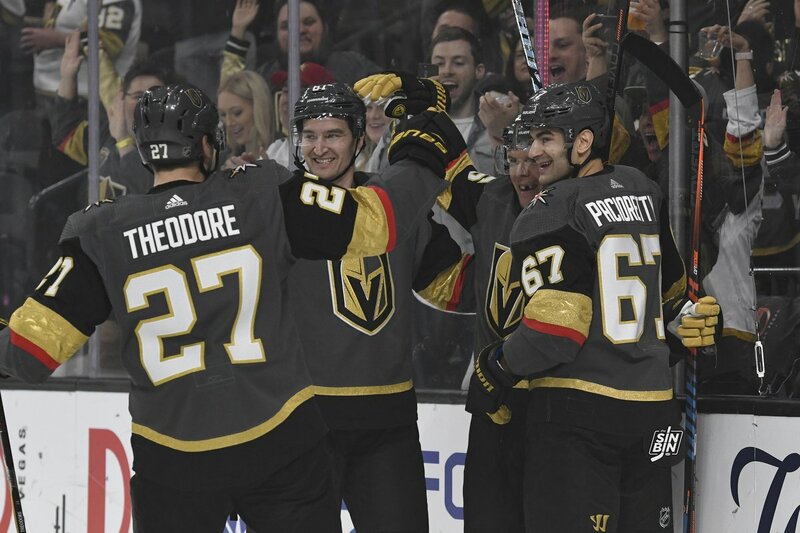 It was the first time Schmidt has played on the left side while a member of the Golden Knights, and the first time Theodore had ever played the right side while in the NHL. Re-watching the game, Schmidt and Theodore started a total of eight rushes into the offensive zone by skating the puck either out of their own zone and/or through the neutral zone. It’s not abnormal for either to do it, but five times for Schmidt and three for Theodore is certainly more than the norm. 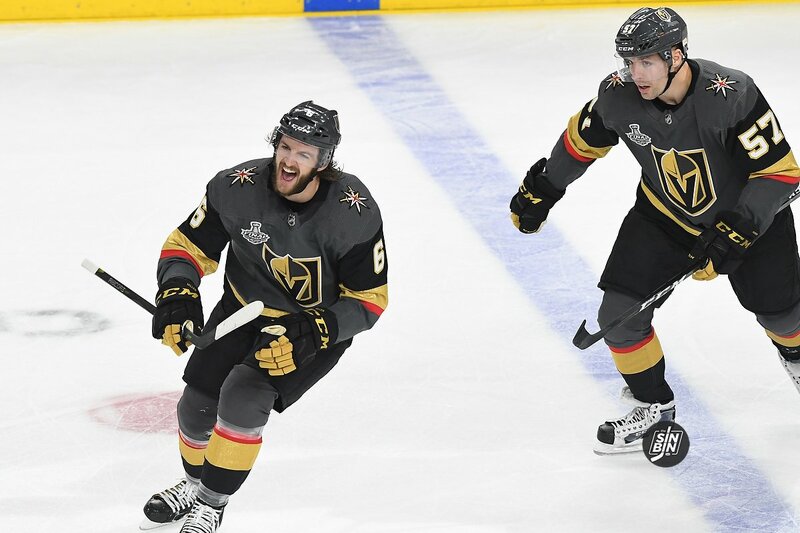 At $5.2M per season, Shea Theodore becomes the Golden Knights highest paid defenseman (by far). The 23-year-old gets a big time raise that many believed he earned, including his General Manager. Theodore and the team are happy with the deal, and of course the fans are too. But how did the organization fare committing to a seven-year deal? Remember, McPhee didn’t have to offer Theodore anymore than the required qualifying offer (around $1 million). When you peruse through the salaries of today’s NHL defenseman, $5M AAV suggests the player is a top 50 defensemen. Out of 227 signed NHL defensemen, Theodore’s new deal makes him the 45th highest paid defenseman in the league. Here are a few players right around his salary for this season.